Short Story written by: Ulica Tizaber. 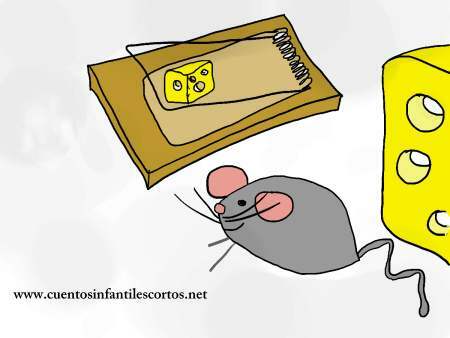 Kika was a very wise little mouse, who lived in a stationery shop where pencils, sheets, markers, notebooks, toys and books were sold. She was actually a stuffed toy inside a plastic box. She was a happy stuffed toy, because she was doing what she liked; reading, watching people going by; and if they had a book in their hands, she used to read the title and memorize it. She didn’t know why she had that gift, but she did and, at the end of the day, she counted the number of books that had been sold and learnt new words every day. One day, a girl went into the shop, and didn’t know what to give to her boyfriend for Valentine´s day, but when she saw Kika, she leaped on her, asked for her to wrapped and took the package home with her. Kika felt like she was going crazy as she would no longer be able to read books or see people inside the shop. Kika began to feel loved, they looked at her with affection and she felt better, at least that day. The day after, she was put inside a suitcase, and she felt sad again. She woke up again to strange noises of people speaking in a different language. She was really curious, and suddenly, somebody took her out of the suitcase and sat her on one side of a little bag. She could see everything from there. She read some posters and could also read the shop and street names and the menus in restaurants. She was in her environment and was the happiest stuffed toy in the world. Suddenly, she realized that she was reading new things that did not have the same structure like her book titles. She learnt new words, new expressions, even new languages. In fact, she might be the only stuffed toy able to speak Nepalese or Indian. What a different period was about to begin. She was very thankful to the girl that bought her, and would always be thankful. She stayed with the couple for many years and she even learnt the language of babies because she later became the favorite stuffed toy of the couple´s daughter. On day, Kika disappeared. What a pity for the couple, they had lived lots of good times with her. They never found her and could never replace her. But what they didn’t know was that Kika had decided to become independent. She had jumped from the buggy and had walked down the street looking for new adventures. Nowadays, Kika is fine. She lives in a toy shop window and that brings back memories of the affection she had given to her favourite couple and baby. She feels like the luckiest stuffed toy of the planet, because she is happy wherever she is and because she will always carry everything she has learnt over the years with her.